Gin is in the midst of a renaissance, and many believe that we have Hendrick’s to thank for that. Back in the late 90s Hendrick’s Master Distiller, Lesley Gracie, started experimenting with small batch gin. Instead of going down the same tried and true paths that other distillers plodded, Gracie blazed her own trail with an old Bennett still, an antique copper pot dating back to 1860 and a Carter-Head from 1948. Together they create a smooth gin infused with cucumber and rose, supported by 11 botanicals. It was an experiment that could have gone either way, but proved to be a hit. Since their launch in 1999, they have become leaders in the field of unique and delicious gins. 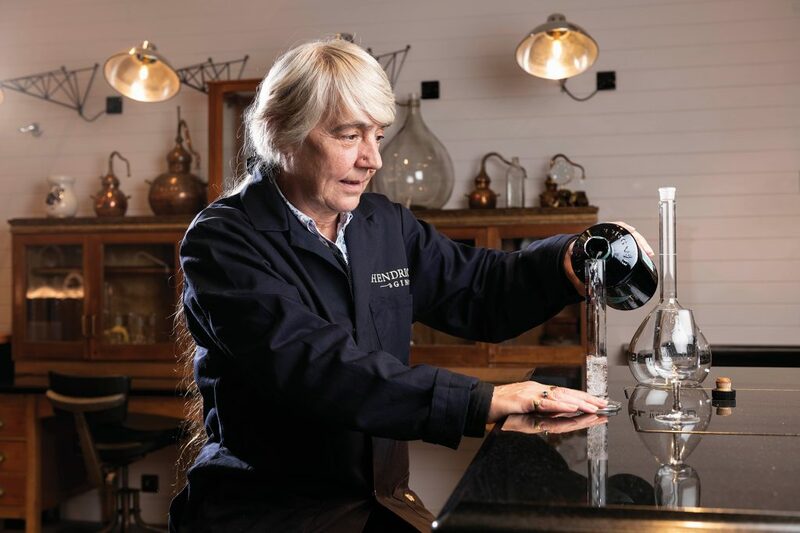 Lesley Gracie still has total creative freedom to make the gins she wants, and you can be sure she’s proud of every drop that leaves Hendrick’s doors each year. When you do this well, growth is inevitable though, and they’ve recently unveiled a new home that distills what the gin is like at it’s very essence. 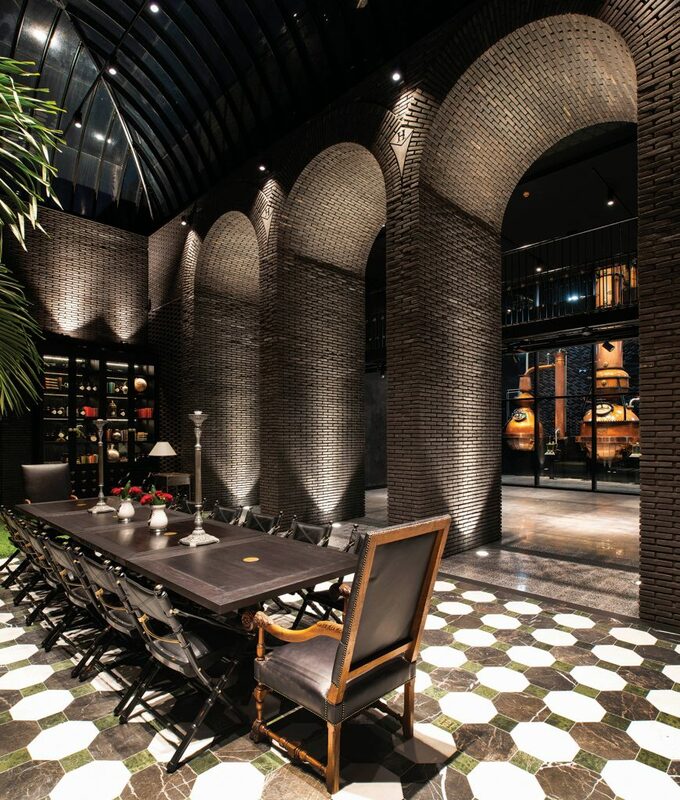 The Hendrick’s Gin Palace and distillery is curious and just a little mysterious. Wonka would approve. The Hendrick’s Gin Palace features a mysterious and enchanting walled garden which leads to a magnificent and imposing Victorian inspired palm house. This is flanked by two botanical hothouses used to cultivate a plethora of unusual botanicals and flora from around the world. There is the inner sanctum that is Lesley’s laboratory which features a curious flavour library, a lecture theatre that encourages scholarly learnings and a suitably stylish bar. And, of course, there are two stunning new still houses. The Hendrick’s family of stills has flourished and now stands at a proud six – four Bennett stills including the original antique copper pot as well as a second Carter Head. The stills have been running for a year now, maintaining the high quality Gracie has maintained for almost 20 years. As a testament of that she won ‘Distiller of the Year’ at the prestigious World Gin Awards 2018. This isn’t the last you’ll hear from Hendrick’s.